The JC Club (Ages 3-11) meets on Sundays in term time in the Parish Centre from 10.00 to 11.15am (except the first Sunday of the month when we all join in Worship Together in church). We have fun learning about the Bible in activities such as art, singing, acting, prayers and stories. We join the end of the 10am Sunday church service, and finish with drinks and biscuits. St John’s Toddlers is a popular drop in Parent/Carer and Toddlers Group for children aged three and under. You can find us in the Parish Centre on Tuesday mornings between 10.00 and 11.30 in term time. 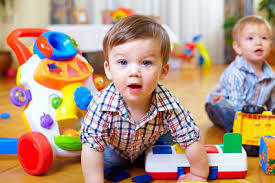 Join us for free play, snack time, craft activities and songtime. There is no need to pre-book so come along any week. Meets on the 1st & 3rd Sundays in term time at 6.30pm. 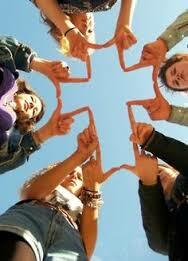 A mainly social time for secondary school aged young people with a Christian focus. For further information about any of these activities please contact Reverend Mark Borley. Email: vicar@stjohnsstoneleigh.org.uk or phone 020 8397 2208. Alternatively contact the church office. Email: office@stjohnsstoneleigh.org.uk or phone 020 8786 7048. Please note the office is only open on Thursday and Friday mornings.